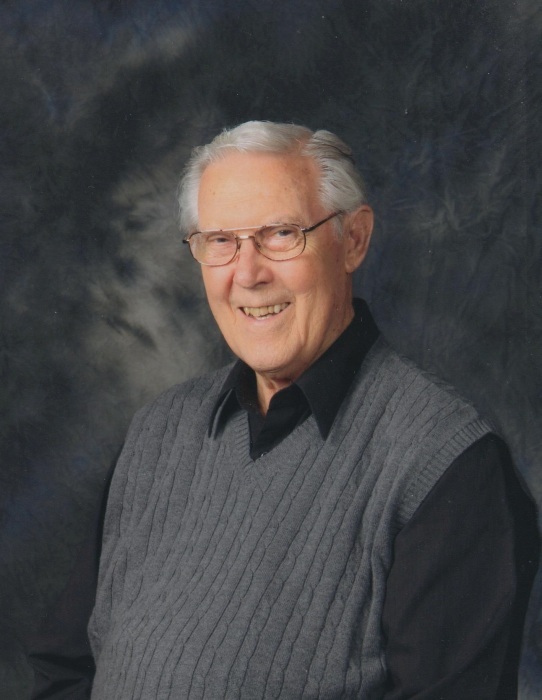 Robert “Bob” Cameron Skelly, age 84, of Mechanicsburg, went home to be with his Lord on Monday, March 25, 2019. Bob was born on Sunday, January 27, 1935 in Tyrone to the late Dr. Frank Clark Skelly and Edwarda (Collin) Skelly. In addition to his parents, Bob is preceded in death by his daughter, Judith “Judy” Ann Skelly; his three brothers: William Skelly, David Skelly, John Skelly; his sister, Edwarda Hess; and his beloved canine companion, Lily. Bob’s survivors include his wife of 45 years, Louise "Weeze" (Ewing) Skelly; his son, Alan Clark Skelly and his wife, Sharon, of Mechanicsburg; his two stepchildren: Kurt Evan Voggenreiter and his wife, Angel, of Gainesville, VA, Erica Jane Williams and her husband, David, of Moon Township, PA; his nine grandchildren; his one great-grandchild; his three close family friends: June W. Tuman of Bethesda, MD, Denice Williamson and her husband, Peter, of Chicopee, MA, Lisa Shepps and her two daughters: Gracen and Ava, and their dog, Molly, of Mechanicsburg; and several nieces and nephews. Bob graduated from Lock Haven High School as part of the class of 1952 and from Pennsylvania State University in 1956 with a bachelor’s degree in civil engineering. He proudly served in the United States Army. Bob was the owner and civil engineer with Skelly and Loy, Inc. in Harrisburg. In 2014, he retired from R.C. Skelly Construction, Inc. in Bowmansdale, where he served as the owner and engineer. Bob was a member of Bible Baptist Church in Shiremanstown, where he sang in the chorale and served on the buildings and grounds committee. He was proud to have helped construct many buildings on the campus of his church. Bob was a member of the National Society of Professional Engineers (NSPE). He loved to sing and was a part of a quartet in college. Bob enjoyed collecting all sorts of gadgets and could fix almost anything, which made him quite the handyman. He loved his grandchildren and cherished the times they spent together. Bob will be remembered as a kind and caring man who always had a smile on his face, even during his illness. All are welcome to join Bob’s family at his gathering of family and friends on Monday, April 1, 2019, from 10:00 a.m. until time of service at 11:00 a.m. at Bible Baptist Church, 201 West Main Street, Shiremanstown, PA 17011; with Pastor Bryan Sanders officiating. Bob’s family invites everyone to join them for a time of food and fellowship at his church immediately following the service. Interment will follow in Indiantown National Cemetery in Annville, where military honors will be presented. Honored to be urn bearers are: Kurt Voggenreiter and Dave Williams. Cremation was private. Contributions in celebration of Bob’s life can be made to Hospice of Central Pennsylvania (HCP), 1320 Linglestown Road, Harrisburg, PA 17110, www.HospiceOfCentralPA.org or Bible Baptist Church, 201 West Main Street, Shiremanstown, PA 17011, www.BBCPA.org/Next-Steps/Give. Bob’s family has entrusted his care to Myers – Buhrig Funeral Home and Crematory in Mechanicsburg, (717) 766-3421. Read Bob’s full obituary and sign his official guest book at Buhrig.com.